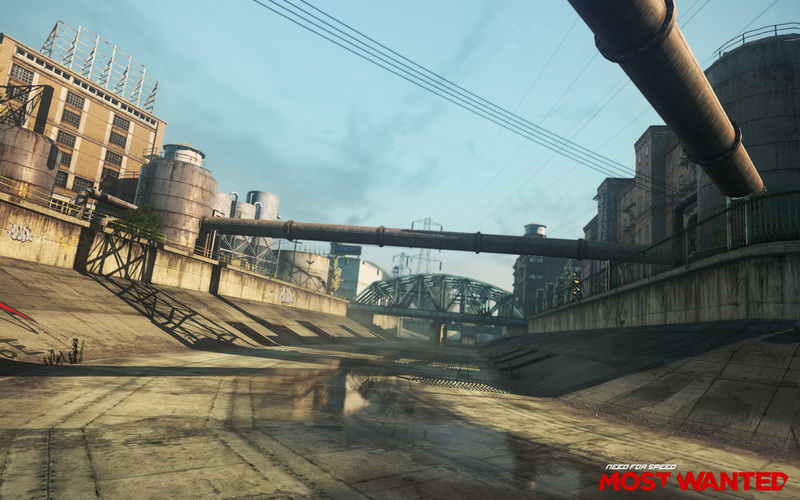 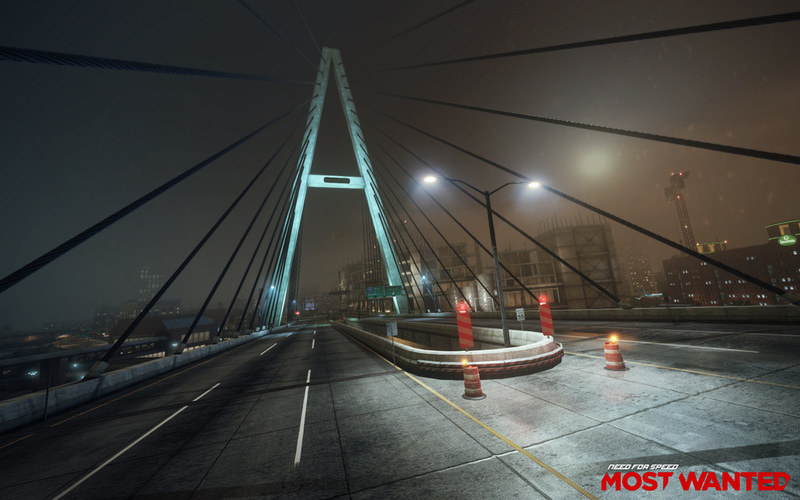 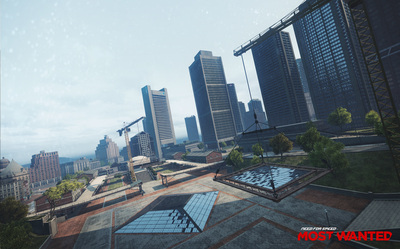 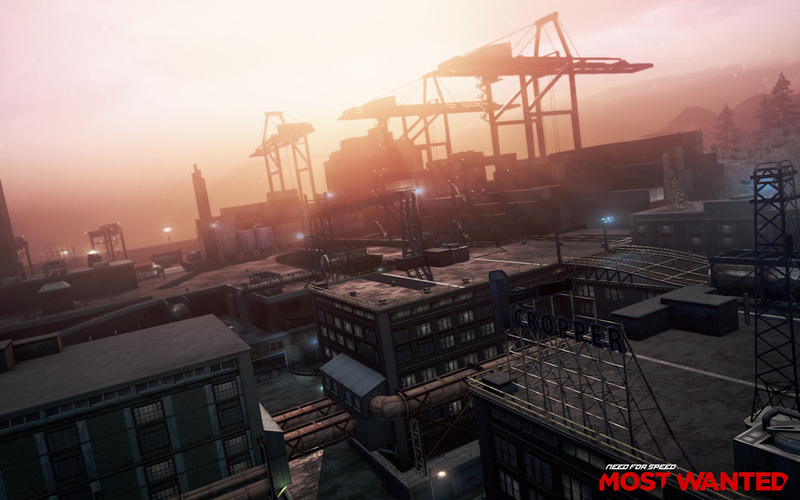 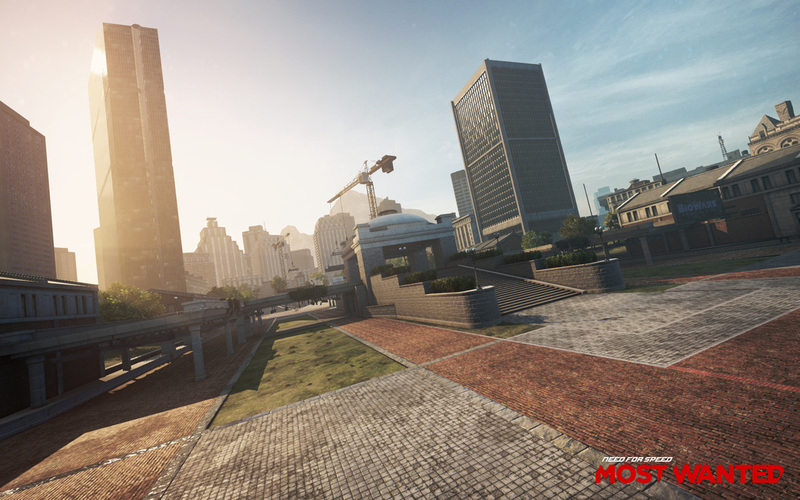 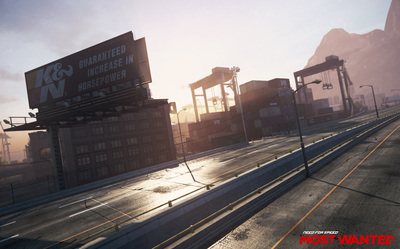 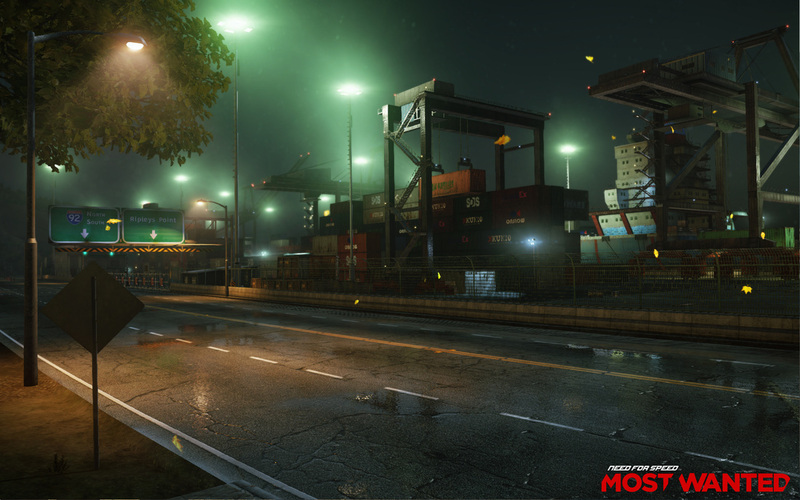 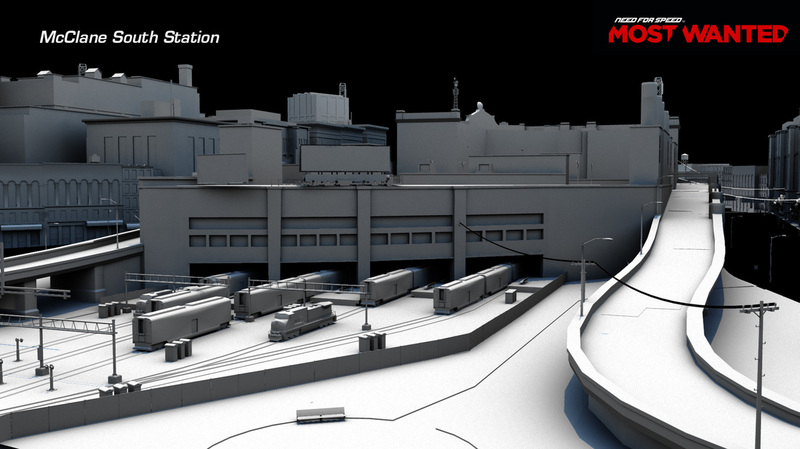 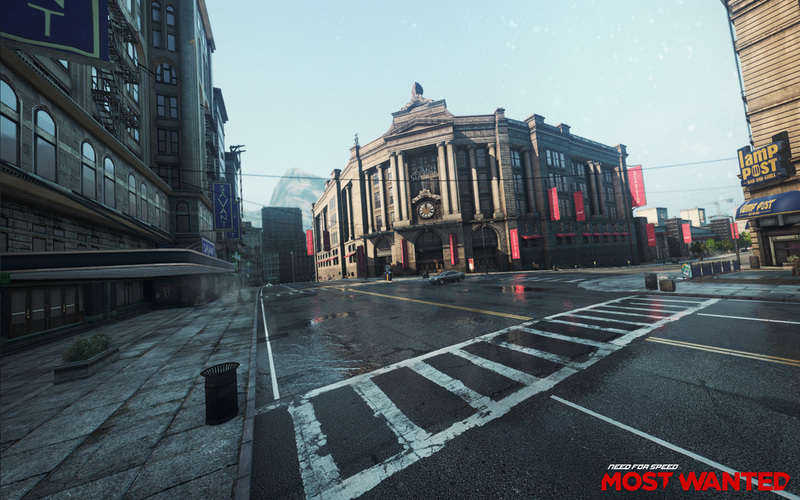 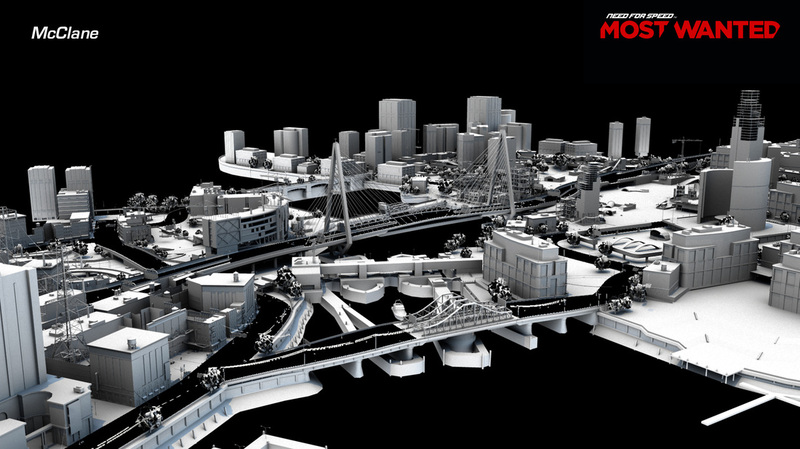 McClane is the largest map in the game and is based on an area of Boston. 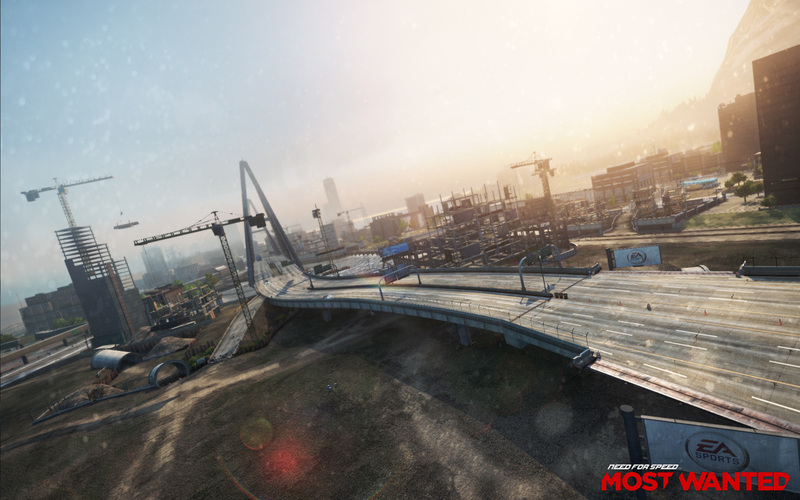 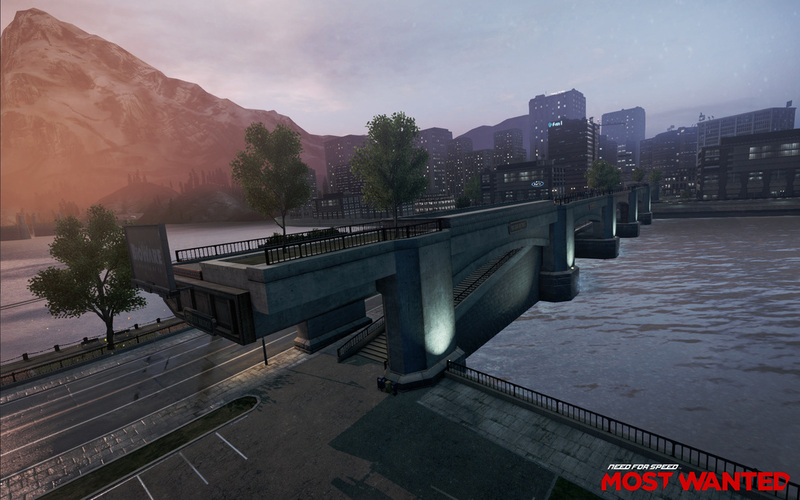 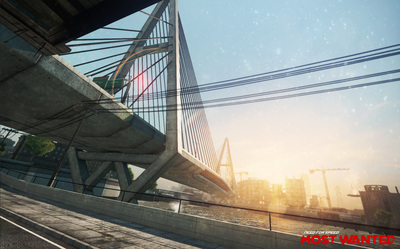 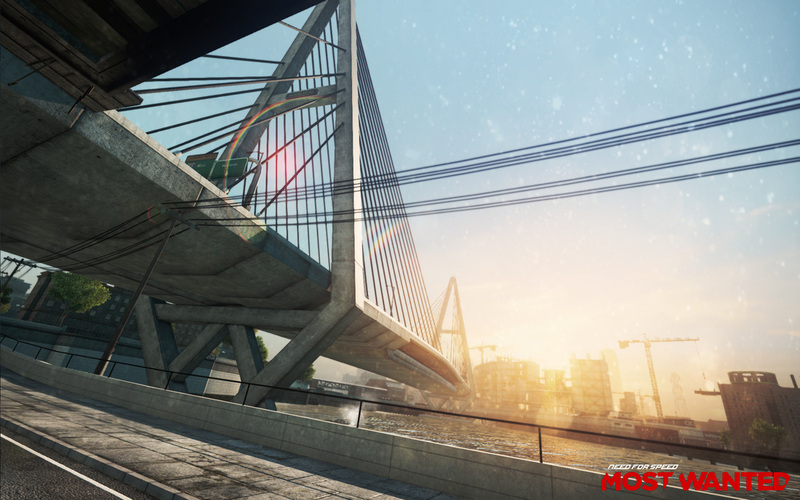 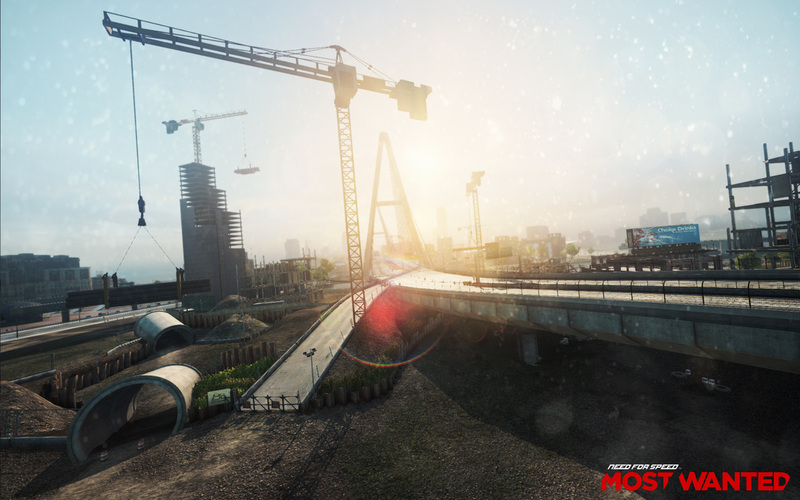 An elevated freeway cuts through the center of the map and there are many other routes across the river over bridges, railtracks and docks. 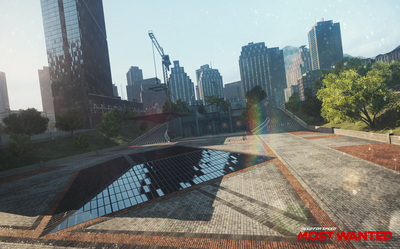 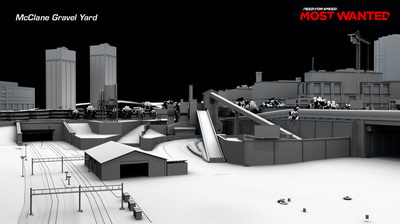 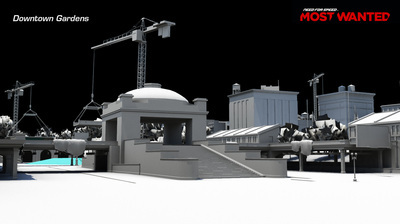 Large sections of the area are under construction which made it a great playground full of gameplay variety. 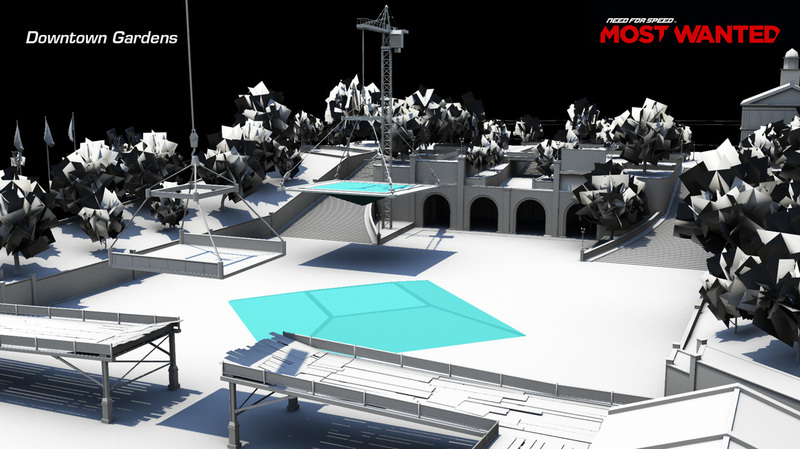 I built the initial blockout of the map and then worked with several other world designers to polish the gameplay. 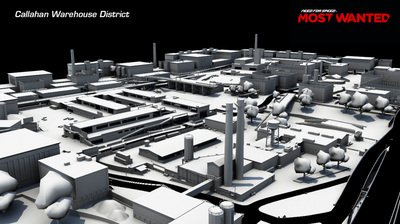 The Callahan Warehouse District together with Ripley's Point Power Station form the industrial district of Fairhaven City. 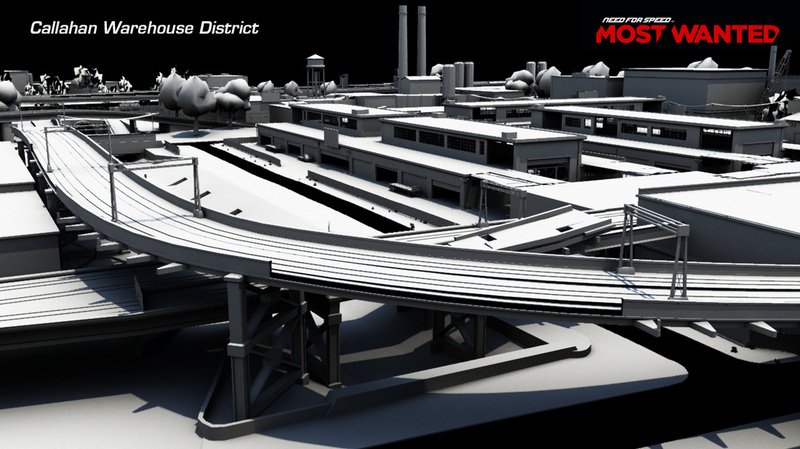 I worked on the Callahan Warehouse District map, The Docks and several roads in the industrial district. 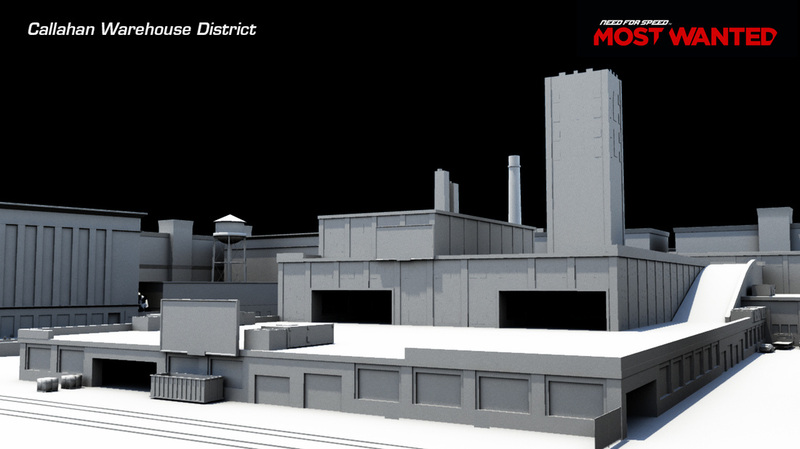 The Callahan Warehouse District map consists of storage houses, containers, small streets, factories, an abandoned railroad above street level and a storm-drain which can all be accessed by the player. 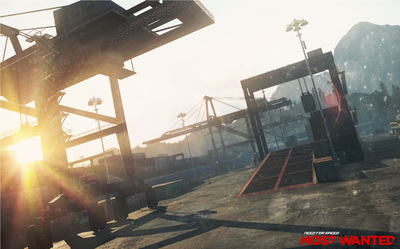 There are multiple jump spots and certain roofs of buildings that can be accessed as well as some of the tops of container piles. The map features the largest ammount of elevated gameplay of any map in Fairhaven. 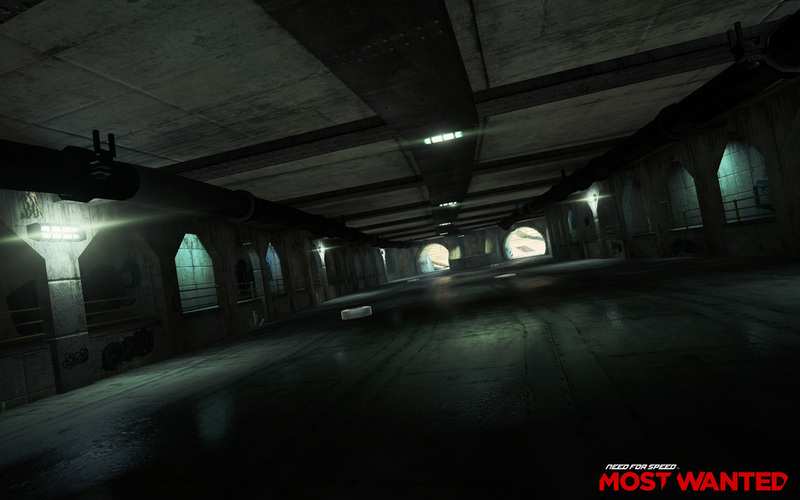 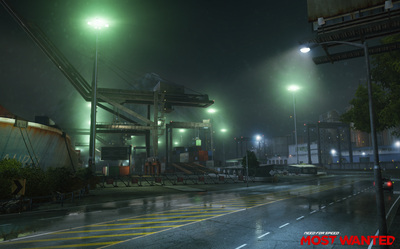 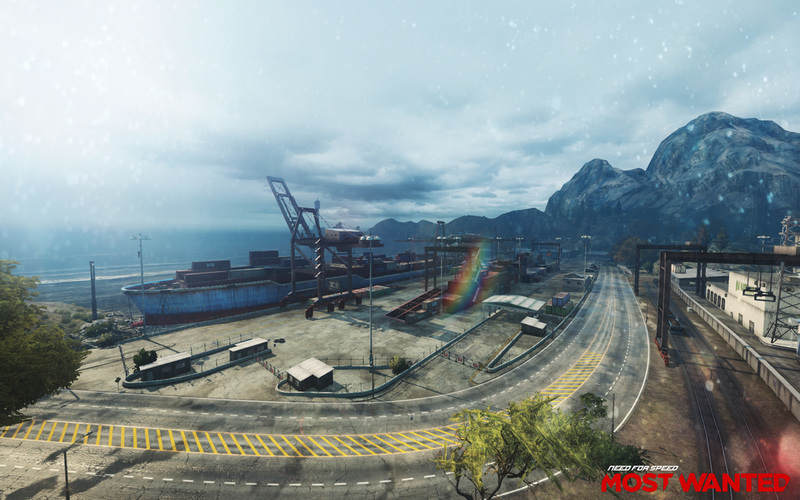 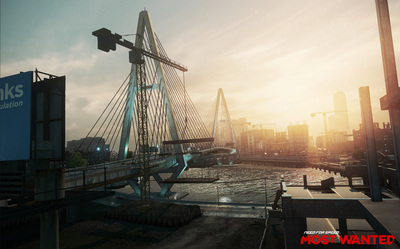 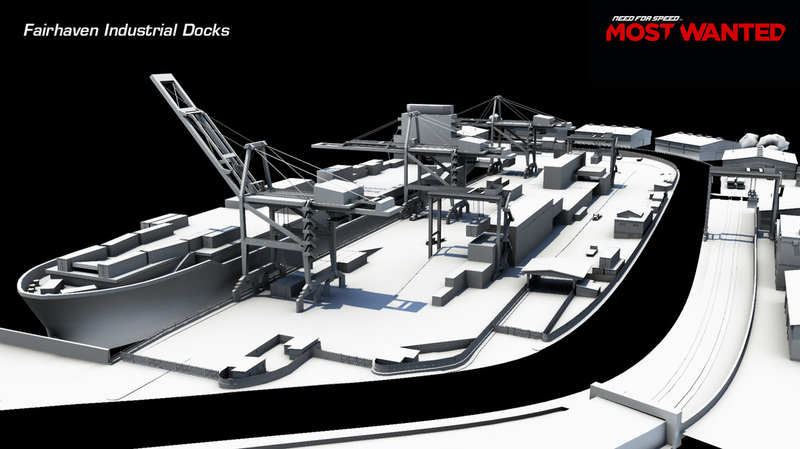 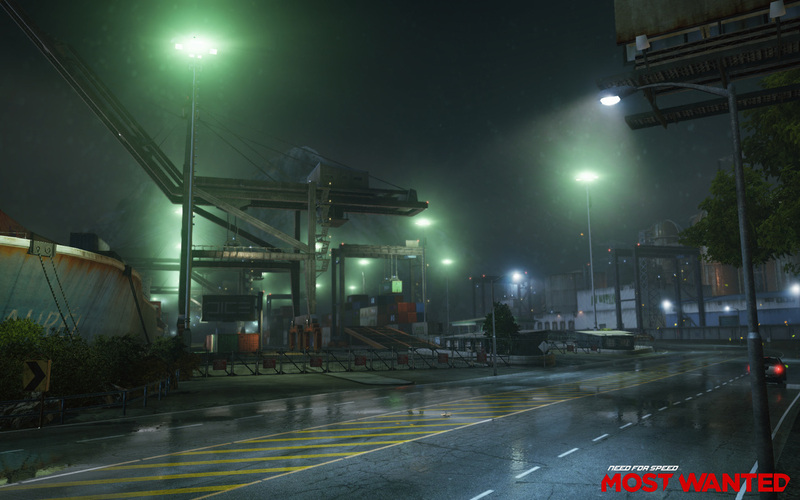 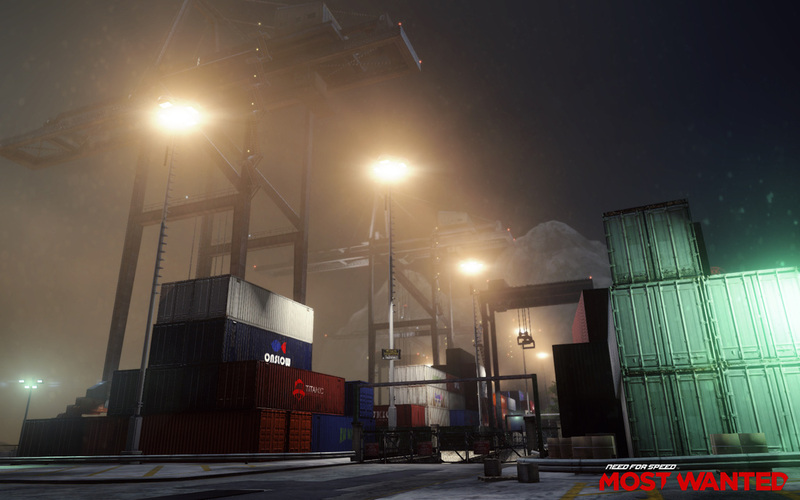 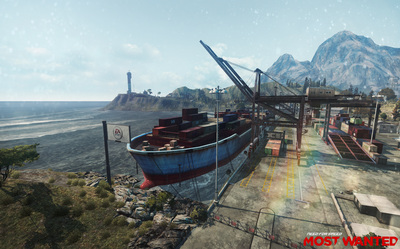 The focal point of the Docks is a large cargo ship which players can drive onto and jump off. 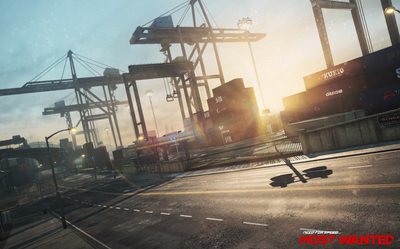 It also features dangerous alternate routes through the cargo loading area and under the huge loading cranes.